Bronson | WHAT A FEELING! The new Charles Bronson movie is called Kinjite: Forbidden Subjects, and the title is only the first weird thing about it. 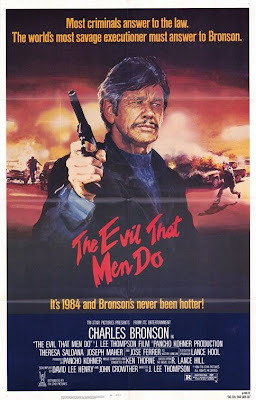 This incredible movie posits Bronson as a Los Angeles cop who works in the vice squad, a job that depresses him but that provides the film with plenty of opportunities for sleaze. And this is just the beginning. In a parallel story, a Japanese businessman (James Pax) brings his family to the United States, where he molests Bronson’s adolescent daughter on a bus. Bronson’s rage goes out toward all Asian people; meanwhile, his wife (Peggy Lipton, once of TV’s “Mod Squad”) suggests that his concern over his daughter may be unnaturally intense. Then, coincidentally, the Japanese businessman’s daughter is kidnapped by the same child-prostitution ring that Bronson has been investigating. Bronson doesn’t know if he can work the case—”Could you replace me with someone more sympathetic to the Oriental community?” he asks his superior—but he digs in anyway. Wacky incidents in Bronson’s investigation include dangling a suspect from a hotel balcony by his feet (the man slips out of his boots and to his death below, an accident that is never referred to again); and a sequence in which Bronson forces the scummiest pimp (Juan Fernandez) to swallow a $25,000 Tiffany watch. In one gulp. On the less colorful side, Bronson also smears a guy with hot dogs and mustard at a football game. 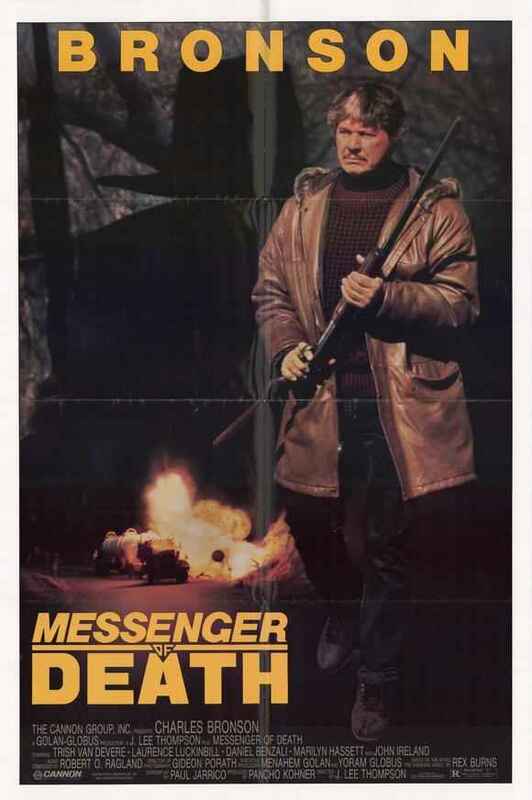 Some of this falls into the so-bad-it’s-unintentionally-funny category, but quite a bit of the film is creepy and ugly. It’s an unpleasant movie. I’m guessing that at some point, the complicated screenplay (by someone named Harold Nebenzal) may have been a serious look at a policeman who, dehumanized by his job, begins to crack up. Something along the lines of Clint Eastwood’s Tightrope, for instance. But in the hands of Bronson, everything gets trivialized. This badger-faced, beef-fisted actor can still mix it up, but he does his most convincing acting when he tells his wife that he’d like to call it quits and open up a little saloon somewhere. (Perhaps in Carmel, like Eastwood.) It might not be a bad idea, Chuck, you’re looking tired. 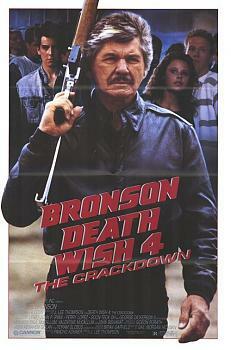 Nothing against Bronson, but this string of movies was unworthy of the man. And Kinjite was one of the worst—J. Lee Thompson in the director’s chair, again. You are currently browsing the archives for the Bronson category.